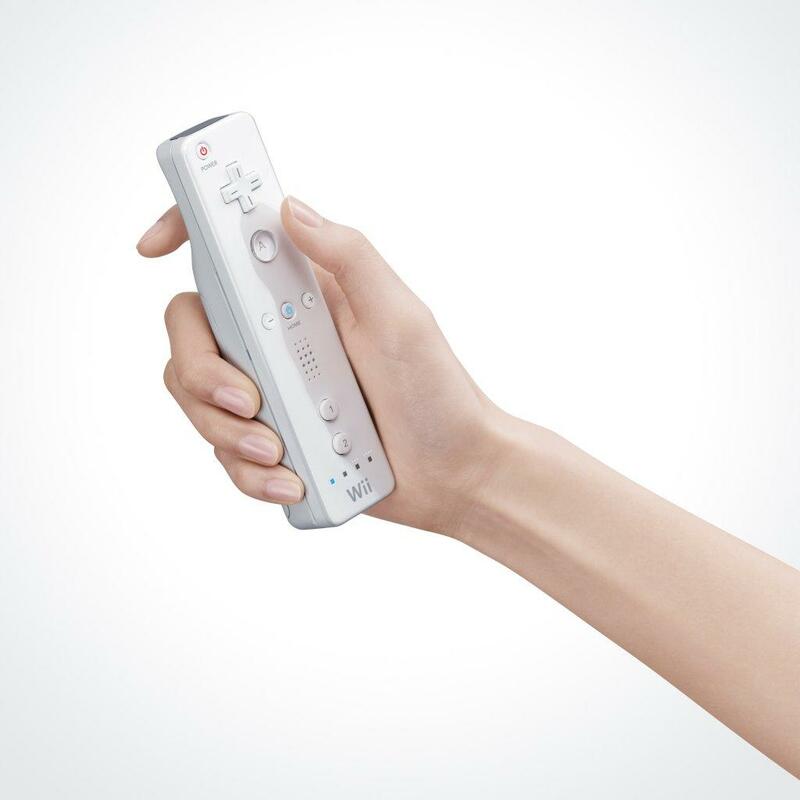 At the beginning of the month Interlink Electronics, a California based wireless mouse company, sued Nintendo over their Wiimote. While their patent didn’t necessarily cover the Wiimote in detail it looks like it may impact certain areas of the Wiimote. On December 14th I had the opportunity to talk to Steven Rubin, from the Intellectual Property/Information Technology Practice Group of WolfBlock, New York. It should be noted that Mr. Rubin is not working on this case in any fashion and has only a preliminary knowledge of the case based on what is publicly available and that nothing in this interview should be considered legal advice or legal opinion. That said he does provide some insight into how patent lawsuits work and how this suit may impact Nintendo. GamingNexus: Could you introduce yourself and talk about your role at your legal firm? Steven Rubin: My name is Steve Rubin and I’ve been practicing law for almost ten years, exclusively in the intellectual property area. Most of my practice is related to patents. My background is in electrical engineering so most of the work I do tends to relate to the electrical and software side and business method stuff as well. My practice in general covers all the legal issues relating to patent property which is generation of patents, analysis of patent portfolios, litigation of patents, and counseling with respect to a clients own patent portfolio or a competitor’s patent portfolio. GamingNexus: How are you involved in this case? Steven Rubin: I’m not involved in litigation at all; my role is hopefully to give you some insight for your audience on some legal matters related to litigation. I don’t represent either party. GamingNexus: Can you provide us with your timeline of the case? Steven Rubin: Sure, I found out about this lawsuit last week sometime last Thursday when it was reported by the relevant media. It doesn’t seem to have gotten out there too much until early this week when people started reporting on it. 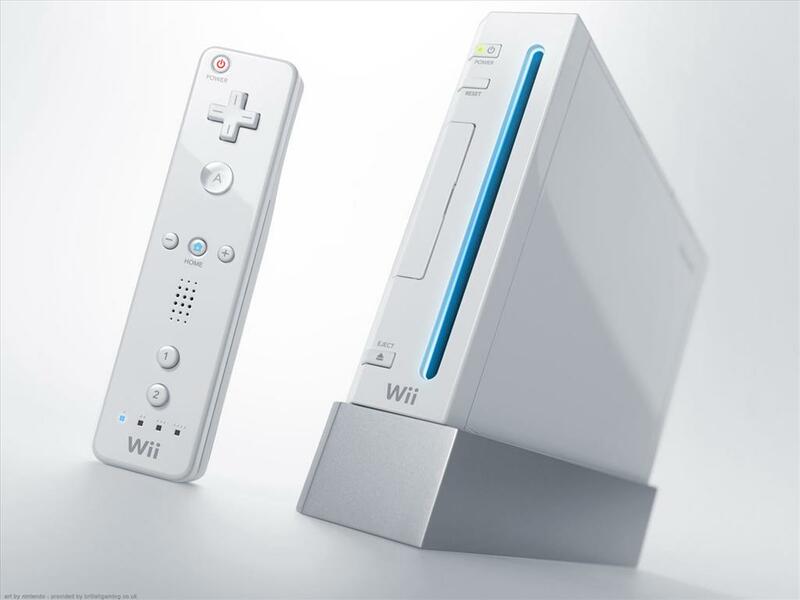 GamingNexus: In terms of the Wiimote where does the device actually infringe on Interlinks patent? Steven Rubin: Whenever there is a patent infringement there are two things that you have to be concerned with. One, is the patent valid and two is there infringement. Obviously you are alluding to the second item. I’m not sure that Interlink has a great case here despite the fact that looking through the patent there are drawings that make it look very similar to the Wiimote. If you take a look at the claims, which are the scope of the patent, the claims don’t really read on what the Wiimote is doing. All the claims have discussion about a rest location for a finger on the hand. The patent is directed towards a wireless mouse so I guess the idea being that you need to design a mouse and contour it ergonomically so someone can hold it and use it wirelessly and point to a screen. All the claims require this rest location, this recess somewhere on the back of the mouse. It is kind of a strange to put in there and I’m not sure why the patent is limited to that but it is and last time I looked the Wiimote doesn’t have that. It has a switch on the back but there’s no place for the user to rest their finger. GamingNexus: The language I saw in the patent was this concept of a trigger located on the bottom of the device. Steven Rubin: Right, the text and claims talk about a trigger and in addition to that a space where the user can rest their finger. Think of your middle finger resting on the housing of the device and that your index finger is used on the trigger button. All the claims require that, half the claims require a switch that is pressure sensitive and the idea here is that if you press down a little bit the cursor moves slowly on the screen and if you press down really hard the mouse cursor moves more quickly on the screen. Again, the Wiimote doesn’t have anything like that; it just has a cross hair [D-pad] and a couple of buttons. You’d probably have to go to the nunchuk attachment to even get close to that. I’m not sure that an analog is even going to correspond to pressure sensitive. It’s a question they are going to have to resolve through the courts. GamingNexus: I was thinking something with like Nintendo’s own wavebird controller, are you familiar with that? Steven Rubin: That’s the wireless controller for the Gamecube right? Sure that would likely do it assuming they could show something like that that predates this patent, and I think they could they are going to be able to invalidate half the claims. There are real issues of validity with half the claims and the other half of the claims have limitations that I don’t think the Wiimote has. Steven Rubin: Well, I mentioned where a user can rest their finger and then there’s the pressure sensitivity for the switches. None of which appears to be shown on the Wiimote. GamingNexus: So really it only pertains to part of the Wiimote and not really the entire thing and the case really doesn’t seem to have that much water then? Steven Rubin: Certainly I don’t think the case appears to have that much water. I don’t know every detail obviously but from what I’m seeing here I’m confused and I’m scratching my head. I think there are issues of both validity and infringement. With respect to your first question, it is certainly not the features of the Wiimote that are giving Nintendo its marketplace. 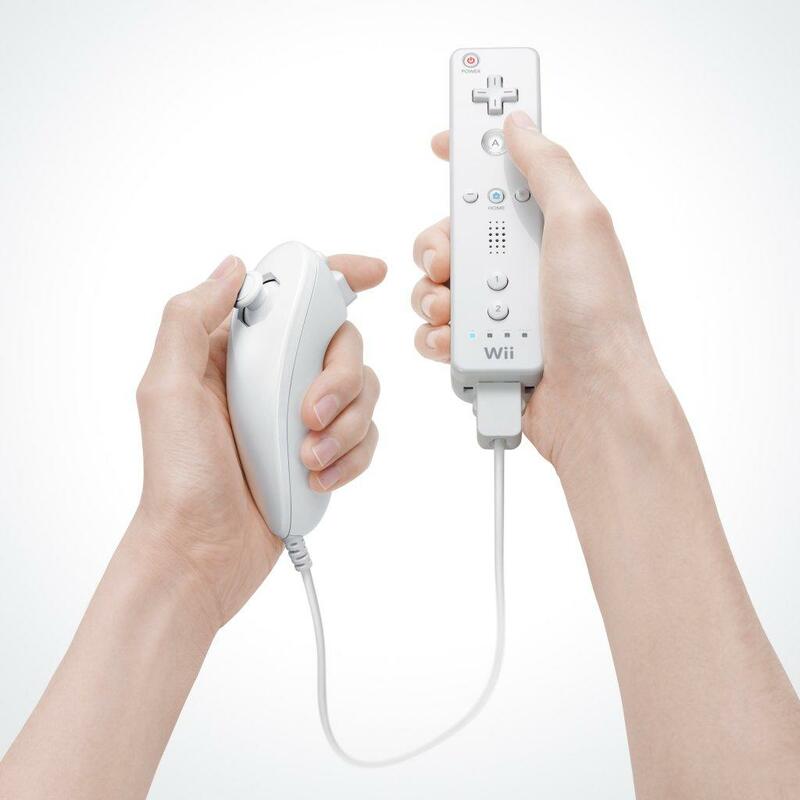 It’s not the motion sensitivity, the question is simply does Nintendo have a place where the user can hold on to it easily. It is features that no one is really that excited about and if they had to Nintendo could design around it. GamingNexus: Are you familiar at all with the Sony vs. Immersion case from last year? Steven Rubin: A little bit, that’s why I thought this case would get a lot more publicity. That’s a case where Sony lost a patent case and had an injunction issued against them. Sony lost, had an injunction against them and they don’t have any force feedback in their controllers. Obviously there is a concern here for that. Interlink is asking for an injunction against Nintendo and if Nintendo loses there will be an injunction against their Wiimote. The bottom line is in every patent case, well pretty much every patent case, is going to ask for an injunction. When you print out a patent form complaint, it’s going to have a request for an injunction in there. Then the question is will an injunction issue and I think it’s very unlikely for a couple of reasons. One, there was a recent Supreme Court decision talking about the standard for an injunction in patent cases. An injunction is what you call equity, which means the concept of fairness. The plantiff has to show that there’s no way to quantify its damage. They are damaged in such a way that you have to shut down the defendant. You cannot just give me enough money as it wouldn’t be enough. I think it’s going to be very difficult to show that Interlink, which is in the business of making wireless mice, is so damaged by Nintendo’s Wiimote. How are you going to show diversion of sales? GamingNexus: From what I’ve read Interlink is suing because they are losing licensing money that they would have made if Nintendo has licensed the technology from Interlink. Steven Rubin: Does that make any sense? It doesn’t make any sense to me. Steven Rubin: That’s a logical argument in patents infringement cases but it doesn’t make sense in this marketplace. When I go to the store I’m not thinking if I should buy an Interlink mouse or a Nintendo Wii. It’s not a choice there. People are in the market for one or the other. Certainly there does not appear to be diversion of marketplace. People haven’t stopped buying wireless mice because they have a Wiimote? I just don’t see that happening. GamingNexus: One of the things about the Wiimote is that people have created software hacks that have allowed them to use the Wiimote with their PC and even with Macs. Does that change the situation at all? Steven Rubin: Yeah, that does change the injunction analysis. Now it does look like perhaps Interlink is losing sales to Nintendo. But again when you talk about injunctions you have to show that there is no adequate remedy at all. That you can’t look at Nintendo’s sales and say “You know what? Of their sales we can attribute five percent to this infringing activity, let’s come up with a number for that” and give Interlink that number. An injunction is issued when you can’t do that analysis as the numbers are too messy and you can’t figure out or pull it apart. A good example is Interlink can’t enter the marketplace and can’t sell anything because Nintendo is overwhelming everyone with their infringing activity. Maybe they are selling it for much cheaper; maybe they are just overwhelming the marketplace and Interlink can’t do anything. That’s just not the case here. You could easily find a number to attribute to Nintendo’s infringement, which I don’t think there is, and then Interlink could get paid for that. GamingNexus: Since Nintendo is marketing this only as a console device and not a PC control device does have any impact on the suit? Steven Rubin: I think it will affect damages. Injunctions again are equity, it’s all about fairness. So Nintendo is going to come to the table with what’s known in the industry as “clean hands”. It’s not like we are trying to compete with you , it’s not like we are trying to push you out of the business. People are doing this strange stuff [hacks], what do you want us to do? Its software I don’t think we have anything to do with [PC] software . So I think it will affect the damage calculation and I think it impacts the injunction analysis. One thing that I had on my list that you may have on your list is the issue of counter-claims. There is a lot of media about patent trolls, people who have no business and go out and sue on patents. If this was a company that had no product, if Interlink had no product it would be a much more difficult issue for Nintendo. However, Interlink does have a product, they have an entire business. They sell wireless mice. So Nintendo just got sued for patent infringement, what they are likely going to do is dust off theirown patent portfolio, which is going to be much larger than Interlinks, and they are going to counter sue for patent infringement. Now Interlink is going to be faced with the issue of injunctions and damages and instead of one patent it’s going to be dozens of patents fired back by Nintendo. GamingNexus: So really Nintendo could turn this around and really go after Interlink hard. Steven Rubin: Yes. This kind of lawsuits surprises me as you generally don’t pick on a giant like that for exactly this reason. If Interlink was in a different business, let’s say the sneaker business, where Nintendo clearly doesn’t have any patents. OK, maybe. But it’s like a software company suing Microsoft, it’s just a bad idea. Steven Rubin: Exactly and this is why you don’t see Sony and Nintendo suing each other. They probably could right? If you sue me for your ten patents, I’ll sue you for my twenty. It’s silly, it’s mutually assured destruction. It’s one of the ways the patent system is supposed to work. I build up a patent portfolio so that no one in my industry is going to sue me because they don’t want to sue me back. Again it makes me scratch my head and wonder what Interlink is thinking. GamingNexus: Where do you see this going, what is the timeline going forward? Is there any shot of Interlink shutting Nintendo down for the holiday season? Steven Rubin: For this holiday season? The next two weeks? GamingNexus: Yes, is there anyway they could get things through fast enough to shut Nintendo down for this holiday season? Is it even logistically possible? Steven Rubin: It’s theoretically possible. There are two types of injunctions, a permanent injunction which happens at the end of the case which is at least three years from now. There’s also a preliminary injunction which could happen today. Interlink could go back into court and say “We have this case and our business is being destroyed, we need to shut Nintendo down” and the only way that ever happens is if you can show the court that your case is so good, why don’t you assume they are right, shut Nintendo down for now and we’ll figure it out if they are really right later”. So that means you have to prove everything that I’ve talked about for injunctions so far, you have to prove they’ve got clean hands, you have to prove that there’s no way to quantify damages, you have to look at the relative hardships of the parties (who is harmed more, Interlink or Nintendo), there’s a public interest factor. You have to look at all that stuff and you also have to show that there’s a reasonable expectation of success. That is, at the end of the day, there’s a really good chance Interlink is going to win. That is really, really hard to do with patent cases because you have to prove infringement, which is a really complex analysis. You also have to prove that the patent is valid. It is assumed to be valid but there are always going to be a challenge on validity. We’ve talked a remote control, such as the Wavebird, and there is a ton of prior art that Nintendo can bring up, and all they have to do is give the judge a hint that maybe there’s an issue of validity that we need to work out and the judge is going to deny a motion for a preliminary injunction. So clearly it’s possible but I think it is very unlikely. To do it in the next two weeks it would have to be in the form of a temporary restraining order which is even more difficult to get. GamingNexus: From your standpoint, the case doesn’t make a lot of sense? Steven Rubin: Yes, as I’ve said I’ve been scratching my head a lot. GamingNexus: Can you think of any reason why Interlink would bring up this suit? Steven Rubin: It’s a nuisance lawsuit. Nintendo just launched and they happen to be doing very well, I just saw an article in the Wall Street Journal two days ago saying that they are beating the heck out of the PLAYSTATION 3 so there’s a lot of money there. Somebody was probably thinking “We’ve got a patent in this space and it’s kind of looks close. Maybe Nintendo will throw us a couple hundred thousand or even a million to go away”. It’s probably just a nuisance lawsuit more than anything else. There is the threat that the Wiimote will be enjoined and Nintendo has nothing then. They don’t have the graphics, they don’t have the processing speed and there’s nothing else that’s giving them market share except for the Wiimote. Even that threat goes right to their throat. It is the strongest part of \Nintendo’s arsenal and it could be exploited. They may also be looking to be bought although I don’t see any synergy between the companies. Maybe the figure Nintendo can benefit from our technology if we threaten them with a lawsuit and start negotiations and they may buy us. That’s a way of doing business. I’d like to thank Stephen for taking the time to answer our questions as well as to Dawn for helping to coordinate the interview.